Kinetex® is an advanced textile composite flooring that combines key attributes of soft-surface floor covering with the long-wearing performance characteristics of hard-surface flooring. Created as a unique floor covering alternative to hard-surface products, J+J Flooring Group’s Kinetex non-slip flooring encompasses an unprecedented range of performance attributes for retail, healthcare, education and institutional environments. In addition to its human-centered qualities and highly functional design, Kinetex offers a reduced environmental footprint compared to traditional hard-surface options. The key to the high-performance attributes of Kinetex lies within its construction. Each layer, when used together, creates a versatile, lightweight, soft-surface flooring design with parallel qualities to that of hard-surface. Noise reduction - Kinetex offers one of the highest Noise Reduction Coefficients (NRC) and Impact Insulation Classifications (IIC) rating of any commercial flooring product. This unparalleled acoustic performance results in dramatic reductions in both airborne and structure borne noise. Health - Kinetex easily surpasses California’s 01350 requirements for low-VOC emissions and substantially minimizes airborne particles by sequestering common allergens, irritants and dust. In addition, Kinetex is easily sanitized and has very short drying time when cleaned with wet cleaning method. Comfort - Kinetex’s high-density backing and soft textile surface provides exceptional anti-fatigue properties along with minimal rolling resistance. 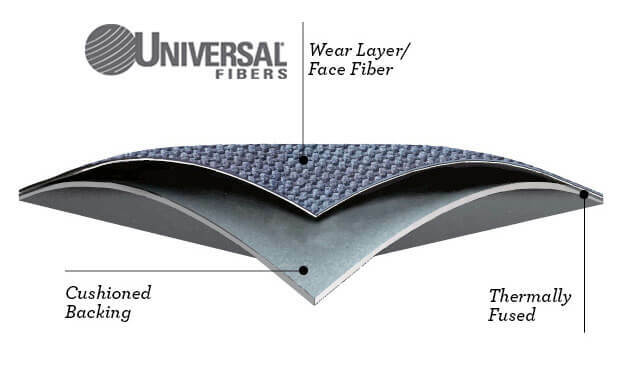 Fiber - Kinetex proudly features 100% polyester fiber. Our fiber is 100% solution-dyed, providing rich long lasting color with superior stain resistance and color fastness to ultraviolet light and aggressive cleaning methods. This continuous filament fiber system also delivers superior wear performance, soil resistance, anti-abrasion and extended new floor covering appearance. Durability - outstanding dimensional stability and crush resistance, Kinetex has withstood over 5 million foot traffic events with minimal wear at a popular Florida-based entertainment venue. Maintenance - resists staining agents and is bleach resistant* Kinetex cleans easily with vacuuming, encapsulation cleaning or hot water extraction (in areas prone to heavy soiling). It retains less water than carpet and therefore dries quickly. Kinetex is bleach resistant* and resists the most challenging staining agents, such as blood, urine, betadine and hand sanitizers. Safety - Highly slip resistant…reducing potential of slip fall injuries Kinetex’s unique construction creates one of the most slip resistant flooring surfaces ever tested, wet or dry — reducing the potential for slip and fall injuries. Its unique low profile also has minimal rolling resistance, potentially reducing injuries from pushing and pulling. 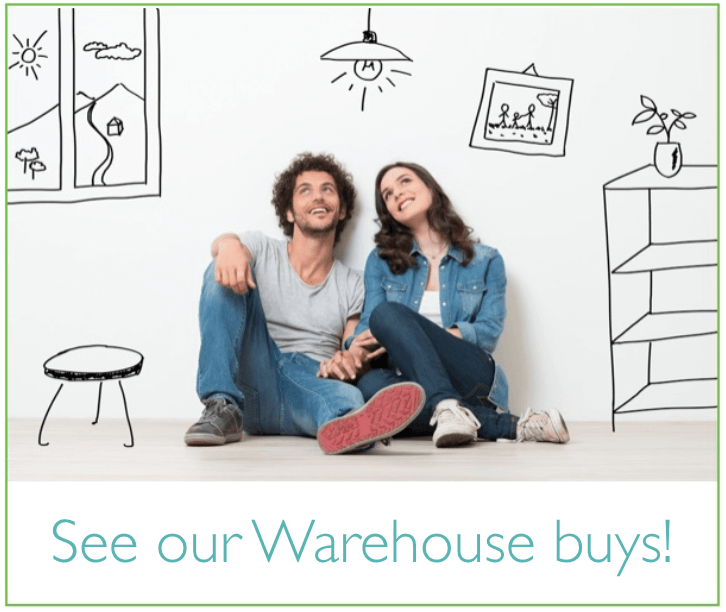 Moisture on concrete floors - The breathable nature of this product allows moisture to pass through the backing rather than trap it underneath. This method of vapor transmission allows Kinetex to be installed without costly moisture mitigation. Sustainability - Kinetex is as recyclable as an aluminum can due to its lower mass, Kinetex has a 50% lower environmental impact compared to other commercial floorings. With more than 55% recycled content, Kinetex is NSF/ANSI-140 Platinum certified. In addition, Kinetex is easily recycled into the next generation of itself, as easily as an aluminum can and all Kinetex products carry a Third Party Verified Declare label affirming Kinetex as both a simple and sustainable flooring solution, guaranteed.